Uncomfortable ideas should not be suppressed on campus and students should learn to deal with them through debate, a university regulator says. Sir Michael Barber, head of the Office for Students (OfS), says universities need to be places of “vigorous debate”. They should, he says, be places where “the pursuit of truth is not a platitude but a daily quest”. He said the OfS, the new main regulator of the higher education sector, will be an “unashamed champion” of free speech. Speaking at the higher education Wonkfest conference in London, Sir Michael said students should combat challenging speech through argument rather than suppression. “The way to deal with discomfort is to develop the resilience to overcome it, not to hide or flee from it,” he said. He said he would encourage institutions to be “bold” when inviting speakers. “The OfS encourages the widest possible definition of freedom of speech within the law,” he added. Sir Michael said the issue of free speech on campuses was also about the diversity of perspective in seminars and lectures and how ideas are debated. “There is a tendency currently to suggest that students should be protected from ideas that they may make them feel uncomfortable,” he said. He added: “Free speech is one of the most precious freedoms ever established, and universities above all should be places where it is cherished. Sir Michael also said universities that are not financially sustainable will not be bailed out, adding that university leaders should not assume they are “too big to fail” if their institutions get into difficulty. He said some university bosses making misjudged financial decisions believe “ultimately it will be OK because the OfS will bail them out”. “This is wrong, the OfS will not bail out providers in financial difficulty. 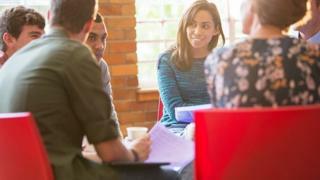 The OfS, which legally came into force in January, is designed to look after the interests of students in higher education in England. It replaced the Higher Education Funding Council for England as the sector’s main regulator and will hold universities to account for the quality of teaching they provide. ← Grenfell fire: When does causing offence become a crime?